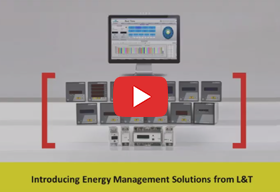 As the world seeks smarter solutions and better utilization of resources, energy management uses technology to improve the energy performance of an organization and reduce cost. Rising energy tariffs, increasing sensitivity to climate change legislation and the need to be environmentally responsible requires effective energy management. The ISO 50001 energy management standard helps these initiatives to be part of the company policy. The purpose of ISO 50001 is to enable organizations to establish the systems and process necessary to improve energy performance including energy efficiency, use and consumption. Implementation of this standard is intended to lead in reductions in greenhouse gas emissions and other related environmental impact and energy cost through systematic management of energy. This standard is applicable to all types and sizes of organizations, irrespective of geographical, cultural or social conditions. Successful implementation depends on commitment from all level and functions of the organization and especially from top management. L&T offers simple and effective ways to help your business save money through energy management, monitoring and managing your energy use more efficiently. Our range of Digital Panel Meters helps in energy monitoring and SmartComm EMS software helps in managing energy with analytical tools. 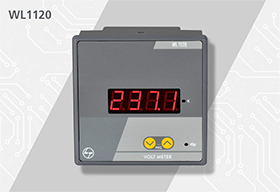 True RMS measurement of voltage and current parameters are achieved by single function Ammeter (WL1110 / WL1310) and Voltmeter (WL1120 / WL1320) series. These are available in Class 1 and 0.5. 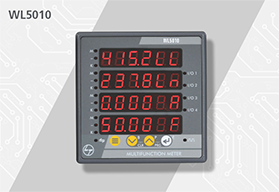 Measurement of Voltage, Current and Frequency with power factor makes this a compact and competitive solution to replace analog meters and associated selector switches with it. The VAF + PF WL4110 series is available in Class 1 and 0.5 with optional RS485 port. 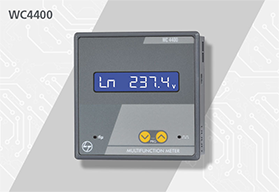 Simple kWh parameter monitoring can be achieved with the WL4000 or WC4000 series. 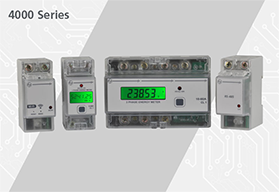 The meter offers site selectivity of kWh or kVAh in addition to site selectivity for kWh or kVA or W or PF thus making it easier for inventory management. 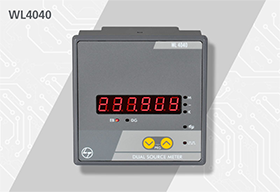 The electromechanical counter meter 4030 series with typical application in DG set panels is used for tamper proof requirements. For energy monitoring of loads in distribution boards. These are primarily used for sub metering purposes. 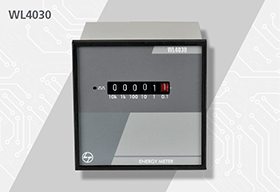 The single dual source meter (4040 series) offers energy monitoring of Electricity Board (EB) and DG sets. 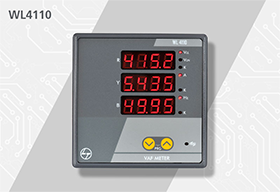 WL4400, WC4400 in single line display and WL4405 in 3 line display are entry level multifunction meters designed to offer basic, power and energy parameters. Multifunction meters offer all basic, energy and power parameters along with power quality parameters of THD and k factor. 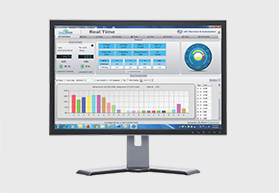 These are high end multi-function meters with individual harmonics and datalog. 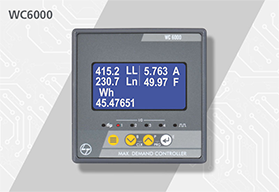 An MD controller enables the user to program the threshold values of maximum demand and initiate actions i.e. alarm or cut off load when maximum demand / forecast demand / present demand crosses the threshold values. This helps the user to ensure that demand doesn’t exceed the sanctioned demand and avoid paying huge penalties. 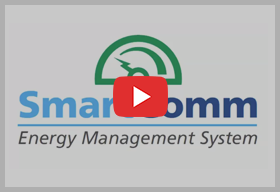 SmartComm EMS, is a simple and powerful energy monitoring software with multiple benefits that empowers the customer to save money. Empowers the user to take corrective actions in areas of energy wastage. Management of energy for optimal utilization. Save money by identifying energy guzzlers for corrective actions to conserve energy. L&T Energy Management Software - SmartComm EMS enables user with real –time monitoring, dashboard for comparison, trend analysis, demand monitoring, emails and SMS alert of daily consumption. This video is applicable for 1110, 1120, 1130, 1310, 1320, 4000, 4040, 4110, 4400 series meters for CT PT programming.